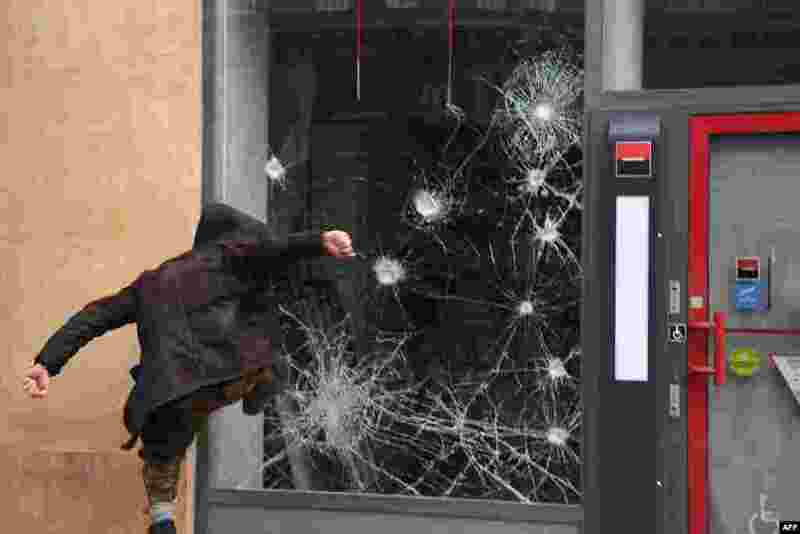 ٥ A protester smashes the window of a bank a during a 'Day of strikes' called by France's General Confederation of Labor (CGT) French worker's union in the French capital Paris. 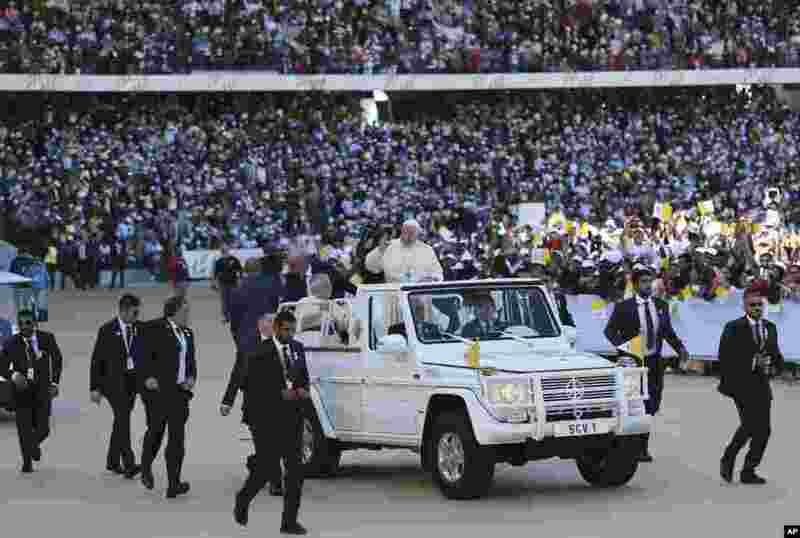 ٦ Pope Francis blesses worshippers during a Mass at the Sheikh Zayed Sports City in Abu Dhabi, United Arab Emirates. ٧ Hollywood actress Angelina Jolie addresses a press conference at the Kutupalong refugee camp in Cox's Bazar, Bangladesh. 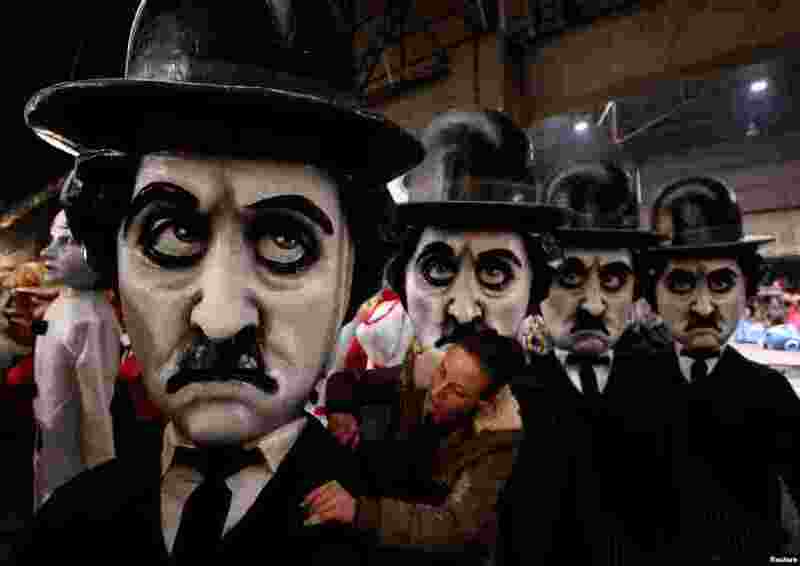 ٨ A worker checks a figure of Charlie Chaplin during preparations for the carnival parade in Nice, France.